I met you first on a flight from Kuala Lumpur to Mumbai in 2008 , and I considered myself to be lucky to meet you and used the opportunity to talk to you for Dr Binayak Sen’s Release, the video I was so delighted to find a voice in you for human rights and a voice for the voiceless- the tribals, who have been suppressed and have been the victims of the so called development model aggressively supported by the Government and our middle class for whom infrastructure amounts to development of the nation and will make india the super power at the expense of displacing the tribals. Today I am aghast to know that you are in the jury of Vedanta’s “Creating Happiness Film Competition” , a short film contest for India‘s student film makers by Vedanta. The claim by Vedanta on their website http://www.creatinghappiness.in/about_us.html is the biggest scam of the century. Corporate mining giant Vedanta has been violating the human rights of tribals in Odisha for many years now. The Dongria Kondhs, a primitive tribe, has been forced to relinquish their rights over their homeland, and cultural and livelihood resources to accommodate the company’s refinery and mines complex. The company’s mines, no matter how benign, will rip through a hill that is the sacred deity of the tribe that has lived in these hills for centuries without leaving a trace on the sensitive ecosystem of the biodiverse watershed forests. The hills that are slotted for mining are home to the Golden Gecko, a species that figures in IUCN’s Red List of endangered species. The Niyamgiri Mountains are the primary source of drinking water for the entire area, apart from being the source of two important rivers of Orissa Nagabali and Vamsadhara which are the lifeline of at least 50000 people downstream. A special monitoring body set up by the Supreme Court of India, the Central Empowered Committee, has submitted several reports highlighting the irregularities and corruption and recommended that the permission to mine the rich forests of the area should not be granted to the company. This report was also important in the decision of the Norwegian Council of Ethics ( See: CENTRAL%20EMPOWERED%20COMMITTEE%20report.doc for this report). Research by Amnesty International and other local and international groups documents the serious and continuing pollution caused by the refinery’s operations. Despite the string of decisions against Vedanta, the company has failed to remedy the pollution. The latest high court verdict states that Vedanta cannot circumvent conditions issued by India’s Ministry of Environment and Forests (MoEF), stipulating that plans for expansion of the refinery should go through a fresh environmental and social impact assessment and a public hearing process. Residents of 12 villages who live in the shadow of the massive refinery – mostly Majhi Kondh Adivasi (Indigenous) and Dalit communities who rely on agriculture for their livelihoods – have long campaigned against the expansion. I hope after reading my letter and seeing the videos you will also pull out from the Jury of Vedanta like Gul Panag did, when she became aware of the various human rights violations by Vedanta. The film competition ends on March 20, 2012 and I hope you will truly stand for human rights of the people of Odisha. Infact, I would like to invite you to be on the jury of an independent film competition on human rights violations by corporates “ Faking Happiness “, I will send you the details soon. Two brilliant photo essays documenting the region and people affected by Vedanta in Odisha.. Very well written kamayani. We,the alumni of TISS back you. I am shocked at Shyam Benegal taking up such an assignment from Vedanta of all criminal corporates. All of us have great regards for Shyamji, because of his people friendly films he has made.His non-compromising attitude has been his greatest asset. I am unable to comprehend what happens to people of such repute on such vital issues. All sensible people in this world are great ful to you for writing such a lucid Open letter you him. I wouldn’t mind including my name in any campaign against such heinous crimes committed by corporate MNCs like Vedanta. Maintaining vigilence committees against all such corporates has become very essential, as one is not aware where they enter surreptiously and catch hold of good people. Congrats, Kamayani for making the all important point of the corporates ‘faking happiness’ and the artists ,intellectuals et al following suit. Thanks for taking this vital step Kamayani…timely and much needed! i know Shyam babu well. He was asked to judge the quality of the films and was not told that it was a Vedanta initiative. yes..i have already sent him your link.. Very logical and emotionally charged piece Kamayani, and very timely too. I hope, Mr. Benegal understands this clear divide of the politics, if not the abstract debates going on in art field where we are seeing the commitments getting diluted day by day. We will try to take these words further. you are quite mistaken if you believe Vedanta mining has not displaced any Kondh family. Either your are victim of selective reception or your sources misguiding you. There were hundreds of kondhs that are displaced, who lost their livelihoods ( like tendu leaves collection). walk out of you closet and roam around jagdalpur streets. every third daily laborer you meet there is a victim of vedanta mining and has migrated to Jagdalpur or other towns in Bastar. Dear Ram, Thank you so much for thsiu GOOD NEWS, I am really happy that Mr Shyam Benegal responded to my letter with ACTION, please give him my warm regards. and YES the news has been spread like FIRE !!!!!!!!!!!!! With due regards to your concern, I would like to clarify few doubts. Wherever bauxite deposits are present, vegetation does not happen there. Same is the case of Niyamgiri bauxite deposits. Niyamgiri has a height of around 4000 feet. Bauxite deposit is present within 50feet from the surface. After bauxite is mined, it will be a perfect place for creating forests. The mining of the bauxite will not affect the living of Dongaria as they are living away from the mining area. This would not affect the fauna & flora of Niyamgiri also. It is surface mining only & will be done through modern technologies where nearby areas are not affected. It is hardly 1% of entire Niyamgiri that would be mined. It is not that Niyamgiri will be completely removed due to mining. If you would come to Lanjigarh & interact with the people living here, you would get a clear picture of their upliftment in the standard of living. Kalahandi was known for Famine, for past seven years since Vedanta has come to this place there is not a single such event. There was no proper communication to this place. Today there are bitumen roads from all directions (Bhawanipatna, Muniguda, Ambodala, Kalyan Singhpur etc.). Many public transport system have started to all places (Bhubaneswar, Berhampur, Cuttack, Bhawaipatna, Rayagada etc.). People did not have a bicycle earlier, now they have multiple vehicles. 90% people were below poverty line. Now 90% family earn more than Rs. 10,000 per month. There was no proper education or medical facility here. There was no lighting, no water for people. After Vedanta has come to this place, all schools, colleges, hospitals, dispensaries, anganwadis have been rebuilt. Proper infrastructure has been created. Mobile health units are running day and night to provide services in all villages. Water supply, Electricity and all basic facilities are made available through joint venture (LPADF) and efforts of Vedanta. Now, more than 95% children are availing education facilities. Almost all people are employed directly or indirectly due to Vedanta. People only will speak. Through Vedanta’s sustainability programmes, many self help groups have been created and they are earning through various small scale earning schemes like phenyl making, leaf plate making etc. Many farmers are doing farming in better scientific ways. Through many health awareness programmes, people are becoming more knowledgeable. Dongaria Kondhs were leading life through lot of hardships within the forests. Now a days they are availing all facilities created for public. Vedanta is already helping many Kondhs to do higher studies and be a part of main stream. Let them also grow along with the world. Let us allow them to flourish. India has developed only due to industrialisation. Let us be a part of it. it has been the most dubious and fabricated remarks which indicates clearly of her association with the NGOs that she has referred to. Pl do something for the development of the area rather than posting concerns in the FB/websites. I have been working for the peeple of Odisha for more than a decade and Vedanta is wonderful organisation that is dedicated for the wholistic developement of the region.I am proud of our contributions for the development of these erstwhile backward region. I would suggest that pl do enough research on bauxite mining before posting such hilarious statements about mining of which it seems you have absolutely no information.we are committed for the development and shall continue with our endless efforts in proving good health,through our Hospital, quality education through our DAV School, livelihood initiatives to enhance income through nurturing farmers and SHGs amogst the women. extremely informative . the best of us are caught in the cusp of the status-quo and very challenging radical choices. how to go about with the ‘business’ of professional living is the question. Congratulations for your great effort !! I am impressed about the statement by someone else on behalf of Shaymji. I hope that Shyamji issues a statement supporting the claims made. Additionally,it would be in good faith if he also declares that neither he nor his associates would take up such important assignments without cross-checking or clarifying. Vested interests have become very strong these days that they would hijack such great people and their names to suit their benefits and ruin the people efforts at sustaining themselves. Great job, Kamayani. 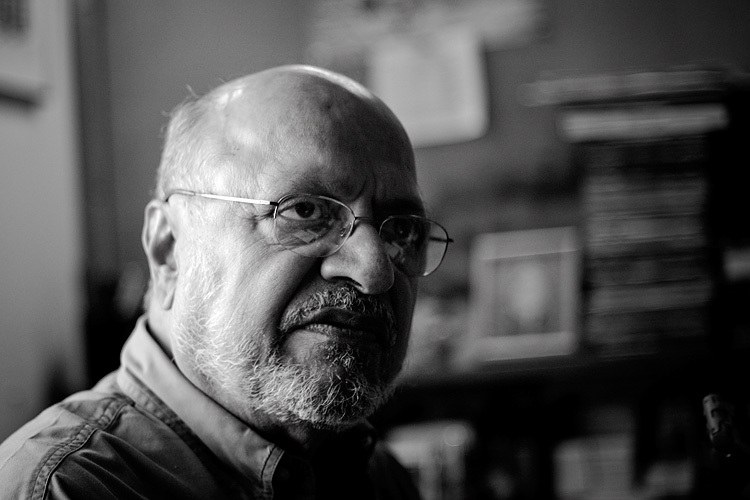 Very happy to learn that Mr. Shyam Benegal has backed out of the jury. All credit to your effort. Better to be called an NGO-supporter than a stooge of Vedanta!! Where is the end to such atrocious acts by the so-called corporate giants? Money and muscle power help them loot any land, any resource and displace any number of people from their safe abode. It is shameful that the most educated people do not realise the harm that they are causing to this planet by their greedy acts. Tribal contingents have been living in forests for ages well in harmony with nature. They are not greedy and they know more about forests than any of us do. They lead sustainable lives, using the resources only to fulfil their needs, duly taking care to replenish the forests in various ways. We should learn so much from them and let them live in peace, if we need to protect this beautiful planet for our future generations. Vedanta is committed to integrated development of the region from where it operates. we have provided rural electrification, piped drinking water supply, bitumen roads, bridges for better communication, hospital, english medium school, mobile health units, ambulances to cater to emergency medical needs of the tribals to name a few initiatives. Vedanta has given engagement oppurtunities to numerous tribals here at Lanjigarh. Our good work for our community shall ever continue and such cheap publicity acts driven by infamous, undercovered NGOs harping on the doctrine of tribal rights shows their true,nasty intentions. We believe in development through industrialisation, and Vedanta shall always continue to be instrumental in bringing happiness to Kalahandi. Without even visiting Lanjigarh i notice people talking about lanjigarh. Press playing a major role in the development of the country should spend time for making any documentary before publishing. As there is no mixed emotions at all in the video which has been displayed, it is evident that the video is biased, forged to substantiate someone’s negative interest. Industrialisation provides emplyoment (direct /indirect), initiates “needs of the locality”, thereby develops entrepruners(small/large), brings infrastructure(road,hospital, school, electricity), generates tax for the government, and therby maintains the economical cycle/balance of the locality/ country. There is no proof required to prove that the area along with the community living not only lanjigarh, but also bhawanipatna, ambodala, muniguda has developed since the plant has begun 6 years back. To the protestors in the video, who are well educated, residing in some HIFI city leading a comfortable and sophisticated life with car, medical facility, credit card for shoping, let me ask a simple question. “1.Why do we want the tribes to be in forest? 2.can these litterate protestors, live inside tribal village with their family for a months time where there is zero facilities? 4.whats wrong if they are shifted by the Government to a better place in the foothills with all the facilities required? let us grow, let everybody grow, let the nation grow! I would like to respond to PADMANABHAN with few words. Have you personally visited this Dhongria Khond people at Niyamgiri Hills? Have you ever listened to their cries against Vedanta Company? If not please go and visit them as we did. go and listen to them as we did. Then you will surely pull back your words which you have written here. This campaign against Vedanta is not to push the Khond people into primitive state. But it is a campaign to protect them from that prisoning and poisioning of their mind into that primitism and from total destructions of their root, their culture, their home and land, their spirituality, their link with their gods and goddesses, ther symbiotic relationship their share with their mountain, their plants, their medicines, their food, their trees, their birds, their animals who all dwell in this beautiful. Also have you seen the waste dumped in the fertile lands…affecting the agricultural farm land, creating health hazards for the village people? Have you ever experienced the bitterness of being uprooted from your homeland, from your culture. I need to go…i’ll stop here. this is just a small tip for you to reconsider your point…and a few words of support for Kamayani’s Campaign against Vedanta! I don’t know how to pronounce your name, but your reply to Padmanabhan was brilliant. You just spoke everything but more appropriately that I was about to reply to him. 🙂 Kudos. People like you (me too 😉 ) will help keeping this world a better and beautiful place. I literally get watery eyes whenever I watch Attenborough’s documentaries or anything similar and get amazed that how beautiful this world is and what we humans are doing with it. I will be giving speech on ‘advocacy for human rights’ in St.Miras college in Pune on 2nd March.. I am very much grateful to you for writing this blog and provide information. i would like to share your example in my speech for effective internet advocacy.Congratulations for one of the successful example of Syam Benegal’s withdrawn from Vedanta promoted Film Corporation. I also want to point out that before any court decision few men and women in 80’s started writing their mother and father’s name or maiden name. I am one of those pioneering activists. And one can see the result after 30 years to our efforts in following judgement. Now it is perfectly legal for a woman to retain her maiden name after marriage. “The Bombay high court recently amended a crucial rule under the Family Courts Act to prevent a woman from being compelled to file any marriage-related proceedings only in her husband’s surname, thus offering relief to many seeking a divorce. It will also help a married woman file proceedings in other courts under her maiden name, say legal experts.”Such judgement is reward for my human rights activism and the action for equity which i have continued fearlessly for these many years.. Yes society has to consider one day the value of equity..